Tickets are $24 ($19 for students). Click here to book online or call 617-395-7757. 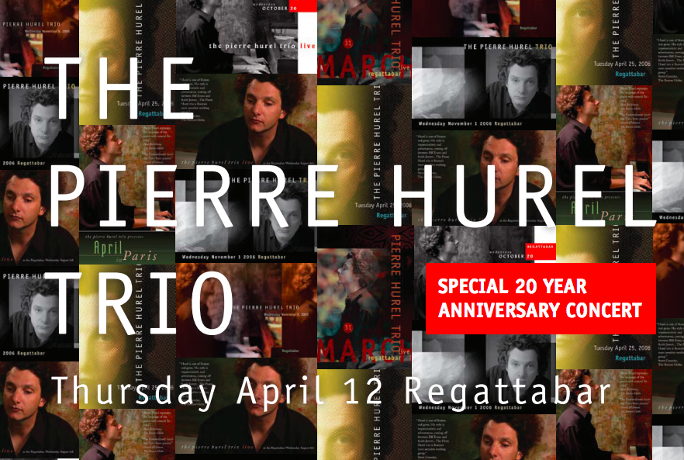 Releasing his new CD, "Neither Lost Nor Found"
The Pierre Hurel Trio is returning to the Regattabar to celebrate the 20th anniversary of their first performance. Tickets are $22 ($17 for students). Click here to book online or call 617-395-7757. The Pierre Hurel Trio is returning to the Regattabar for an evening of standards and original compositions. Join us at the Regattabar for the release of our last CD, "Inner Conversation". John Funkhouser on bass and Mike Connors on drums. Tickets $20 ($15 for students). Book online or call 617-395-7757. 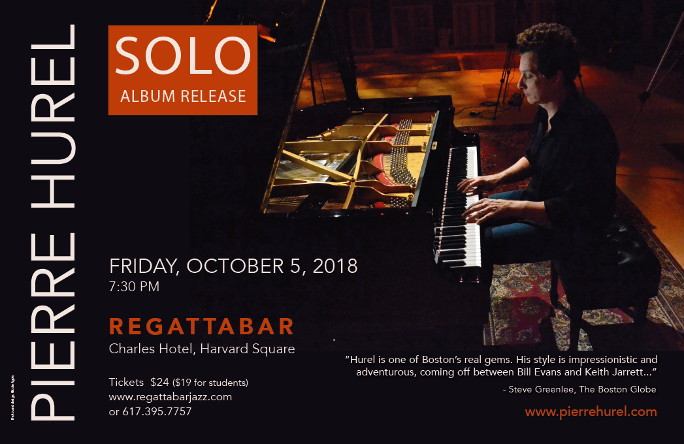 Pierre will be returning to the Regattabar with his trio, described by The Boston Globe's Steve Greenlee as "Boston's most sensitive-working group", to share their signature sound and new original music. Click here for more info and to reserve tickets online. Check out a teaser here. Click here for more info and to reserve tickets. Great News !!! Pierre is bringing back his famous trio with John Funkhouser on bass and Mike Connors on drums for the 10th year anniversary of their landmark CD "The Crush". Watch for a teaser soon! Click here for more info and to reserve tickets now. Join WBUR Host Robin Young for “Food and Philosophy: Three Authors Talk about Modern Life” — a conversation with The New Yorker‘s Adam Gopnik (The Table Comes First: Family, France, and the Meaning of Food), Allegra Goodman (The Cookbook Collector) and Margot Livesey (The Flight of Gemma Hardy). Special musical performance by the jazz pianist Pierre Hurel. Presented by WBUR with the Boston Book Festival, and sponsored in part by the French Cultural Center. Opening night of the 2011-2012 Boston Conservatory New Music Festival provides an evening of spontaneously improvised compositions with Boston Conservatory composition faculty Pierre Hurel, renowned guest artists and Conservatory students.